Féíle na hInse developed year after year, going from strength to strength. It received great support from schools and teachers, as it presented a great opportunity for children to use their Irish outside the classroom in fun and creative ways. Parents also were very delighted when they saw their children on stage displaying their talents, by acting, singing, recitation or dancing. 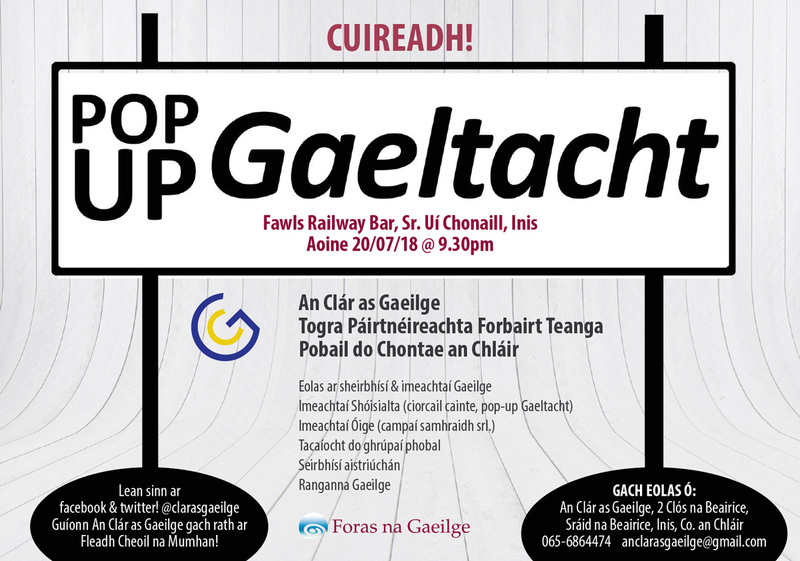 Other members: Caitlín Ní Mhaoldomhnaigh, Daithí Ó Diollúin, Domhnall Ó Loingsigh, Dónal Ó hAiniféin, Pádraig Mac Mathúna, Eoin Ó Ceallaigh, Clíona Ní Chonghaíle. Féíle na hInse is now the largest such festival in the Region, with over 2,000 young people involved each year and over 70 schools, both primary and Second level, participating. The Féile awards prizes to the value of € 3,000, between trophies, Gaeltacht scholarships, and other prizes. It takes place over eight days in March each year. It takes a committee of 20 members as well as up to 12 assistants and 20 adjudicators to run the Festival. The festival will be celebrating 35 years going strong in 2019. 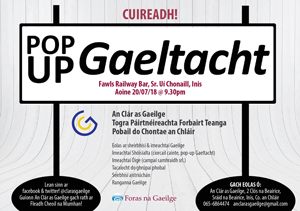 Be part of the biggest Irish Language Festival in the region!